While I do NOT typically handle Rentals I am happy to help. I do not have the staff to properly manage rentals or serve renters need. However, if you see a property you like you can click the "MORE INFO" button on that page and I will refer you to the property manager. 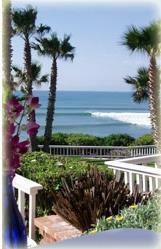 Baja Rentals offers the finest oceanfront Vacation Rentals in Baja California. Please feel free to call us to discuss these quality Baja rentals in Rosarito and Ensenada properties and the excellent service that only Baja Rentals brings to Baja's north Coast for VACATION RENTALS. This section has ALL the LONG-TERM rentals offered by ALL the property managers in the area. THEY ARE NOT MY EXCLUSIVE LISTINGS. The properties in this section are priced based on a full year’s term. Less than 12 months can be negotiated, for a shorter period, at an upward corrected price. 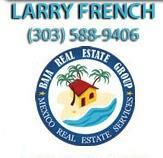 Click the "Email Larry" button on the properties that interest you and I can refer you to the property manager responsible for the property. We can also refer you to the finest oceanfront vacation rentals available. Go to the BAJA-RENTALS Website for more rentals and complete information.